The fifth season of the American serial drama television series Lost commenced airing on the ABC network in the United States and on A in Canada in January 2009, and concluded with a two-hour season finale on May 13, 2009. The season continues the stories of the survivors of the fictional crash of Oceanic Airlines Flight 815, after some of them are rescued and those still stranded seemingly disappear to an unknown location and time with the island that they inhabit. According to Lost's co-creator/executive producer/writer/show runner Damon Lindelof, the season "is about why [the people who have left the island] need to get back". Lost returned on January 21, 2009, on ABC with a three-hour premiere consisting of a clip-show and two back-to-back new episodes. The remainder of the season aired on Wednesdays at 9:00 pm EST. The season began in the UK and Ireland on January 25, 2009, on Sky1 and RTÉ Two, respectively. The season was released on DVD and Blu-ray Disc under the title Lost: The Complete Fifth Season – The Journey Back, Expanded Edition on December 8, 2009. The season was produced by Bad Robot Productions and Grass Skirt Productions and was aired on the American Broadcasting Company network in the United States. The show was primarily filmed in Hawaii with post-production in Los Angeles. Damon Lindelof and Carlton Cuse continued to serve as the show runners. Lindelof and Cuse's fellow executive producers were co-creator J. J. Abrams, Bryan Burk, Jack Bender, Edward Kitsis and Adam Horowitz. The staff writers were Lindelof, Cuse, Kitsis, Horowitz, co-executive producer Elizabeth Sarnoff, supervising producer Paul Zbyszewski, producer Brian K. Vaughan, co-producer Melinda Hsu Taylor and Kyle Pennington. The regular directors are Bender, co-executive producer Stephen Williams and Paul Edwards. The cast features 14 major roles with star billing, all of whom return from the fourth season. Because the storyline follows two different time periods, the cast is largely broken into two groups. 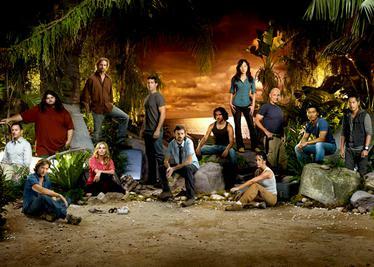 The first storyline follows the group of people who have left the island: the survivors' leader Dr. Jack Shephard (Matthew Fox), ex-fugitive Kate Austen (Evangeline Lilly), mentally unstable millionaire Hugo "Hurley" Reyes (Jorge Garcia), former torturer Sayid Jarrah (Naveen Andrews), grieving wife Sun-Hwa Kwon (Yunjin Kim), three-year islander Desmond Hume (Henry Ian Cusick) and Ben Linus (Michael Emerson), former leader of the island's native population, known as the Others. The second follows those who remain on the island as they erratically jump through time, following the island being moved in the fourth-season finale. They are crash survivor and con man James "Sawyer" Ford (Josh Holloway), former Other and fertility specialist Dr. Juliet Burke (Elizabeth Mitchell), crash survivor and former enforcer Jin Kwon (Daniel Dae Kim), who survived the explosion of the freighter, and three members of a science team from a freighter offshore, who have joined the crash survivors: medium Miles Straume (Ken Leung), anthropologist Charlotte Lewis (Rebecca Mader), and physicist Daniel Faraday (Jeremy Davies). The only main character to be involved in both storylines is John Locke (Terry O'Quinn), who, at the end of the fourth season, leaves his fellow crash survivors to become the new leader of the Others. However, following the first jump through time, he rejoins the crash survivors and eventually leaves the island and dies, which prompts the other survivors who have left the island to return with his body. The character of Charlotte is written out in the fifth episode of the season, as well as Faraday in the fourteenth and overall one hundredth episode. Those who previously received star billing in season four, but did not in season five include Claire Littleton (Emilie de Ravin), who followed an apparition of her deceased father into the forest and later appeared in Jacob's cabin and Michael Dawson (Harold Perrineau), who died when the freighter exploded. Emilie de Ravin returned as a regular cast member in season six. Furthermore, former main cast member Malcolm David Kelley, who portrays Walt Lloyd, Michael's son, makes guest appearances in the fifth season. Second season main cast member Michelle Rodriguez portrays the deceased Ana Lucia Cortez in one episode. Several of the guest stars from past seasons reprise their roles in season five. Nestor Carbonell appears as the apparently ageless Richard Alpert in nine episodes; Cheech Marin returns as Hurley's father, David Reyes; François Chau portrays Dharma Initiative scientist Dr. Pierre Chang; Lance Reddick continues to appear as the mysterious Matthew Abaddon; Sonya Walger plays Desmond's wife, Penny Widmore; William Mapother portrays deceased Other Ethan Rom; Jeff Fahey returns as pilot Frank Lapidus; and L. Scott Caldwell and Sam Anderson continue to play married couple Rose Henderson and Bernard Nadler, respectively. Recurring guest stars Alan Dale and John Terry who play billionaire Charles Widmore and deceased Christian Shephard, respectively reprise their roles. The character of Danielle Rousseau is present in the fifth season as a younger version, played by Melissa Farman. Mira Furlan, who previously portrayed an older Rousseau, asked for her character to be written out of the series because she did not want to travel to Hawaii to film her scenes. Tania Raymonde returns as her daughter, Alex. Fionnula Flanagan also returns as Eloise Hawking. Patrick Fischler plays Phil, a member of the DHARMA Initiative. Brad William Henke portrays Bram, a survivor of Ajira Airways flight 316. Sterling Beaumon reprises his role of young Ben for four episodes in the second half of the season. Marsha Thomason also returns briefly as Naomi Dorrit. The final recurring character is Vincent, Walt's yellow lab. The producers stated that Vincent survives to the series' conclusion. Several new recurring characters are introduced in the fifth season. Two characters introduced in the premiere are Lara, Dr. Chang's wife and Miles' mother, who is portrayed by Leslie Ishii, and Dan Norton, an attorney who is given the task of performing a maternity test on Kate and Aaron, portrayed by Tom Irwin. Another pair of recurring characters, Caesar played by Saïd Taghmaoui and Ilana, played by Zuleikha Robinson, are introduced in the sixth episode, "316". Ilana was upgraded to the main cast in the sixth season. Reiko Aylesworth guest-stars in three episodes as Amy, a member of the Dharma Initiative, a scientific group that did research on the island in the 1970s. Eric Lange portrays Radzinsky, a member of the Dharma Initiative, in seven episodes. Two new recurring characters appeared in the fifth-season finale: Jacob, the well-known and unseen leader of the Others, played by Mark Pellegrino, and his unnamed nemesis (nicknamed "Samuel" in the casting call), whom Ausiello likened to J. R. Ewing and is portrayed by Titus Welliver. Sean Whalen, who previously portrayed Neil Frogurt in the Lost: Missing Pieces mobisodes, reprised his role in the first two episodes of season five. Season 5 received mostly positive critical reception. On Rotten Tomatoes, the season has an 88% approval rating, with average rating of 8.9/10, based on 17 reviews. The website's consensus reads, "Though it introduces yet more unanswered questions, Season 5 of Lost also moves quickly, covers more character development, and fleshes out its rich world further for hungry fans." Metacritic gave the season a score of 78 out of 100 based on 17 reviews, making it generally favorable. Season 5 continued Lost's decline in ratings, with the two-hour season premiere being watched by 11.37 million American viewers; the lowest season premiere in the series' history. Overall, the entire season averaged 11.05 million viewers. The season was also nominated for five Primetime Emmy Awards, including Outstanding Drama Series, Outstanding Writing for a Drama Series for Carlton Cuse and Damon Lindelof for the episode "The Incident", Outstanding Supporting Actor in a Drama Series for Michael Emerson, Outstanding Single Camera Picture Editing for a Drama Series, and Outstanding Sound Mixing for a Comedy or Drama Series (One Hour). The only winner among the nominees was Emerson, after being nominated for the same award two years previous. Emerson was later nominated at the 67th Golden Globe Awards for Best Performance by an Actor in a Supporting Role in a Series, Mini-Series or Motion Picture Made for Television. The number in the "No. in series" column refers to the episode's number within the overall series, whereas the number in the "No. in season" column refers to the episode's number within this particular season. "U.S. viewers (million)" refers to the number of Americans in millions who watched the episode as it was aired. "Lost: Destiny Calls", a clip-show recapping the first four seasons preceded the premiere. A second clip show, "Lost: The Story of the Oceanic 6", aired on April 22, 2009 (before the 14th episode of the season, which is the 100th episode of the whole series), and a third, "Lost: A Journey in Time", was aired before the finale on May 13, 2009. The remaining survivors begin to erratically jump through time after the island is moved. Jack and Ben begin their quest to reunite the Oceanic Six. Hurley and Sayid are ambushed at their safehouse. Kate and Aaron flee their house, after being ordered to submit to a maternity test by two lawyers. Sun has an interesting conversation with Mr. Widmore. Hurley and Sayid are on the run from the police. Hurley confesses to his mother that the Oceanic Six have been lying. The island survivors are attacked by armed men. Ben learns that he only has seventy hours to reunite the Oceanic Six and return them to the island. Desmond goes in search of Daniel Faraday's mother and learns from Charles Widmore that she is in Los Angeles. The island survivors jump to 1954, where Locke is unable to convince Alpert he is from the future and Faraday is given the task of defusing a hydrogen bomb. While on their way to the Orchid Station, the island survivors jump to the day Aaron was born, and then to 1988, where Jin is found by Danielle Rousseau's science team. In 2007, Jack, Kate, Sayid and Ben meet and Kate realizes that Ben sent the lawyers after her and Aaron. Locke, who is suddenly alive following the crash of Flight 316 on the island, is questioned by the other survivors and finds Ben among the injured. In flashback, Locke's off-island mission to reunite the Oceanic Six and return them to the island is aided by Charles Widmore and Matthew Abaddon before Ben murders Locke. The remaining island survivors are left in 1974, following the end of the time jumps. They join the Dharma Initiative after rescuing one of their members, Amy, from the Others. After living with them for three years, Juliet helps Amy give birth and Sawyer, who is in love with Juliet, is reunited with Jack, Kate, and Hurley. In 1977, Sayid does not cooperate with Sawyer and members of the Dharma Initiative vote to execute Sayid. A 12-year-old Ben frees Sayid in his effort to join the Others. However, once they have escaped, Sayid shoots Ben. In flashbacks, Sayid is caught by Ilana, a bounty hunter, who has been hired to take him to Guam. Juliet is unable to treat Ben's gunshot wound and Jack refuses to help, leading Kate to take Ben to the Others to be healed. Richard explains that the process will change Ben forever. In flashbacks, Kate decides to return to the island and leaves Aaron in the care of his grandmother. In 1977, the survivors succeed in detonating the modified nuclear bomb at the construction site of the Swan station, the finale ending when the bomb is detonated. In 2007, Locke and the Others travel to the base of the four-toed statue, where Jacob lives. Locke is revealed to be an impostor: an old acquaintance of Jacob who manipulates Ben into killing Jacob. In flashbacks, Jacob visits several of the main characters at key moments in their lives prior to crashing on the island. "An Epic Day with Richard Alpert"
"Mysteries of the Universe: The DHARMA Initiative"
^ "ABC Announces Finale Dates Plus Two Returns" (Press release). ABC. March 16, 2009. Archived from the original on March 26, 2009. Retrieved March 16, 2009. ^ Albiniak, Paige (February 24, 2008). "Ten Reasons Why Lost is Found". New York Post. Archived from the original on February 29, 2008. Retrieved March 17, 2008. ^ Jensen, Jeff (November 7, 2008). "Lost Season 5 Gets a Premiere Date". Entertainment Weekly. Archived from the original on August 15, 2011. Retrieved November 7, 2008. ^ a b Lambert, David (April 8, 2009). "Lost - Disney Officially Announces 'The Complete 5th Season' on Blu-ray & DVD". TVShowsOnDVD. Archived from the original on April 11, 2009. Retrieved April 15, 2009. ^ "Fourteen Early Pick-Ups Announced for the 2007–08 Season" (Press release). ABC. March 21, 2007. Archived from the original on January 3, 2009. Retrieved July 7, 2007. ^ Brislin, Tom (January 25, 2007). "UH Academy for Creative Media, Lost, Create Student Internship Program". University of Hawaii. Archived from the original on September 18, 2009. Retrieved August 30, 2007. ^ Keller, Joel (January 15, 2007). "ABC's Show Runners Talk About Pitching, Network Notes, and Internet Scrutiny". Aol TV. Archived from the original on September 5, 2012. Retrieved August 30, 2007. ^ Bennett, Tara (October 14, 2008). "Tales From the Freighter: New Transmissions – Unearthed Treasures". Lost: The Official Magazine. Titan Magazines (19). ^ a b Lindelof, Damon (writer), Cuse, Carlton (writer), Bender, Jack (director) (May 29, 2008). "There's No Place Like Home". Lost. Season 4. Episode 13–14. ABC. ^ Vaughan, Brian K. (writer), Taylor, Melinda Hsu (writer), Williams, Stephen (director) (February 4, 2009). "The Little Prince". Lost. Season 5. Episode 4. ABC. ^ a b Kitsis, Edward (writer), Horowitz, Adam (writer), Edwards, Paul (director) (February 11, 2009). "This Place Is Death". Lost. Season 5. Episode 5. ABC. ^ Kitsis, Edward (writer), Horowitz, Adam (writer), Edwards, Paul (director) (April 29, 2009). "The Variable". Lost. Season 5. Episode 14. ABC. ^ Kitsis, Edward (writer), Adam Horowitz (writer), Williams, Stephen (director) (May 1, 2008). "Something Nice Back Home". Lost. Season 4. Episode 10. ABC. ^ Sarnoff, Elizabeth (writer), Pennington, Kyle (writer), Edwards, Paul (director) (May 8, 2008). "Cabin Fever". Lost. Season 4. Episode 11. ABC. ^ Malcolm, Shawna (May 30, 2008). "Harold Perrineau Dishes on His Lost Exit (Again)". TV Guide. Archived from the original on January 22, 2009. Retrieved December 1, 2008. ^ Dos Santos, Kristin (June 2, 2008). "Spoiler Chat: 30 Rock, Lost, Gossip Girl". E! Online. Archived from the original on September 29, 2012. Retrieved August 30, 2008. ^ a b Fernandez, Maria Elena (January 11, 2009). "Spring TV Previews: Lost". Los Angeles Times. Archived from the original on March 12, 2009. Retrieved January 11, 2009. ^ a b c d "Lost (1/21; Season Premiere)". ABC Medianet. December 31, 2008. Archived from the original on January 8, 2009. Retrieved December 31, 2008. ^ Sullivan, Emmet (November 25, 2008). "Fringe's Lance Reddick: 'Mariah Will Have a Film Career'". People. Archived from the original on December 20, 2008. Retrieved December 6, 2008. ^ Rodic, Jasmina (April 28, 2008). "GORAN GAJIC / Vratila se roda". Gloria (in Croatian). Archived from the original on April 30, 2008. Retrieved December 23, 2008. ^ Ausiello, Michael (August 19, 2008). "Spoilers on Lost, Grey's, Dexter, Smallville, Gossip Girl, and More!". Entertainment Weekly. Archived from the original on August 15, 2011. Retrieved August 28, 2008. ^ Ausiello, Michael (November 16, 2008). "Lost Scoop: Mystery Gal's Secret Revealed!". Entertainment Weekly. Archived from the original on September 8, 2012. Retrieved November 18, 2008. ^ Kiesewetter, John (March 18, 2009). "Actor finally found Lost". The Cincinnati Enquirer. Archived from the original on March 21, 2009. Retrieved March 18, 2009. ^ Ausiello, Michael (February 25, 2009). "Ask Ausiello: Spoilers on House, Daisies, Damages, Smallville, 24, Burn Notice, NCIS, Prison Break, CSI, ER, Dollhouse, 30 Rock, Lost, and more!". Entertainment Weekly. Archived from the original on January 6, 2012. Retrieved February 26, 2009. ^ "Lost: Season 5". Rotten Tomatoes. Archived from the original on April 25, 2016. Retrieved June 26, 2016. ^ "Lost: Season 5". Metacritic. Archived from the original on August 15, 2010. Retrieved September 20, 2009. ^ a b c Gorman, Bill (January 22, 2009). "Updated Wednesday Ratings: Lie to Me outduels LOST". TV by the Numbers. Archived from the original on October 8, 2013. Retrieved October 28, 2012. ^ "Season Program Rankings from 09/22/08 through 05/27/09". ABC Medianet. May 27, 2009. Archived from the original on May 31, 2009. Retrieved September 14, 2009. ^ "Lost". Emmys.com. Archived from the original on September 28, 2012. Retrieved June 7, 2012. ^ Eng, Joyce (September 20, 2009). "30 Rock, Mad Men Repeat, While Jon Cryer and Toni Collette Surprise at Emmys". TV Guide. Archived from the original on September 27, 2009. Retrieved September 20, 2009. ^ "Lost". GoldenGlobes.org. Archived from the original on October 14, 2012. Retrieved July 29, 2012. ^ Littleton, Cynthia (November 7, 2008). "Lost: The isle of mystery returns Jan. 21". Variety. Archived from the original on December 5, 2008. Retrieved November 13, 2008. ^ "The Story of the Oceanic 6". The Futon Critic. Retrieved July 29, 2012. ^ "A Journey in Time". The Futon Critic. Retrieved July 29, 2012. ^ Seidman, Robert (January 29, 2009). "Wednesday Ratings: CBS News with Katie Couric...LOST!". TV by the Numbers. Archived from the original on October 8, 2013. Retrieved October 28, 2012. ^ Seidman, Robert (February 5, 2009). "Wednesday Ratings: A bad night for Life, Life on Mars, and Knight Rider". TV by the Numbers. Archived from the original on October 8, 2013. Retrieved October 28, 2012. ^ Seidman, Robert (February 12, 2009). "Wednesday Ratings: Two hours of American Idol dominance". TV by the Numbers. Archived from the original on October 8, 2013. Retrieved October 28, 2012. ^ Seidman, Robert (February 19, 2009). "Wednesday Ratings: American Idol and LOST shine". TV by the Numbers. Archived from the original on October 8, 2013. Retrieved October 28, 2012. ^ Seidman, Robert (February 26, 2009). "Wednesday: American Idol dominates, Lost and the lowLifes". TV by the Numbers. Archived from the original on October 8, 2013. Retrieved October 28, 2012. ^ Seidman, Robert (March 5, 2009). "Wednesday: America's Next Top Model premieres well with young women". TV by the Numbers. Archived from the original on October 8, 2013. Retrieved October 28, 2012. ^ Seidman, Robert (March 19, 2009). "Wednesday Ratings: Better off Ted ABC's lowest-rated comedy debut since 2005". TV by the Numbers. Archived from the original on October 9, 2012. Retrieved October 28, 2012. ^ Seidman, Robert (March 26, 2009). "Wednesday Ratings: American Idol strong, Lost low". TV by the Numbers. Archived from the original on October 9, 2012. Retrieved October 28, 2012. ^ Seidman, Robert (April 2, 2009). "Wednesday Ratings: American Idol and Lost lead night". TV by the Numbers. Archived from the original on October 9, 2012. Retrieved October 28, 2012. ^ Seidman, Robert (April 9, 2009). "Wednesday Ratings: American Idol wins again, Unusuals rather usual for ABC". TV by the Numbers. Archived from the original on October 9, 2012. Retrieved October 28, 2012. ^ Seidman, Robert (April 21, 2009). "Top ABC Primetime Shows, April 13–19, 2009". TV by the Numbers. Archived from the original on May 3, 2012. Retrieved April 21, 2009. ^ Seidman, Robert (May 6, 2009). "Top ABC Primetime Shows, April 27 - May 3, 2009". TV by the Numbers. Archived from the original on May 3, 2012. Retrieved May 6, 2009. ^ Seidman, Robert (May 12, 2009). "Top ABC Primetime Shows, May 4–10, 2009". TV by the Numbers. Archived from the original on May 3, 2012. Retrieved May 12, 2009.